Tips for Teaching Listening introduces English language teachers to contemporary research and specific techniques for teaching listening. Topics include listening processes, skills, text types, academic listening, course planning, and assessment. Vignettes in each chapter illustrate authentic learning and teaching experiences. What the teacher should know and What the teacher can do sections link pedagogical research with classroom techniques. Concrete tips in each chapter provide practical suggestions for planning, teaching, and assessing a language class. Activities in chapters and appendices provide classroom ideas for implementing each tip. 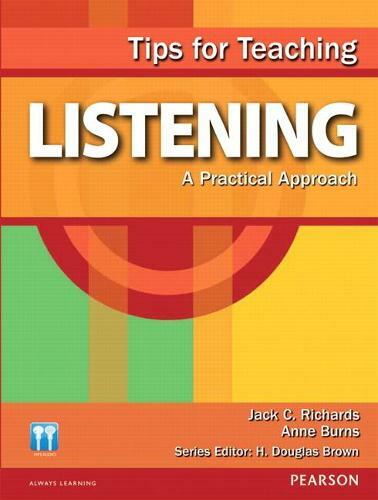 Photocopiable handouts with example activities from popular listening texts can be used in class with minimal preparation. Glossary provides concise definitions of commonly used terms. Audio CD includes MP3 audio files for select handouts. The Tips for Teaching series (H. Douglas Brown, Series Editor) covers topics of practical classroom-centered interest for English language teachers. Written in clearly comprehensible terms, each book in the series offers soundly conceived practical approaches to classroom instruction that are firmly grounded in current pedagogical research.